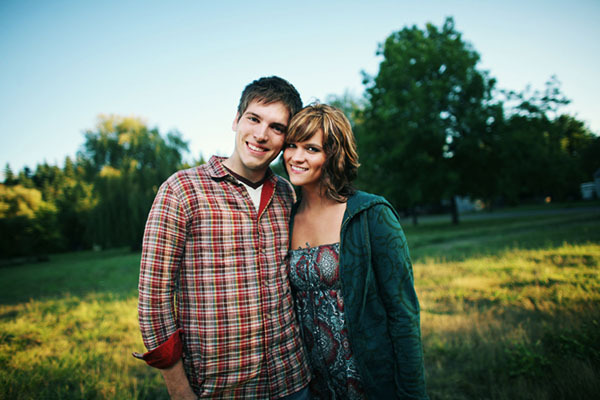 Christian dating sites are a great way for singles to connect with potential matches for a romantic relationship. It's even more exciting when they participate in the premier site for Christian singles online. ChristianCafe.com has helped thousands of now ex-singles find their soulmate online. If we were able to assist them, we can do the same for you. Our members trust us, and we've got thousands of testimonials of former (and current) members from our singles community to prove it. They love our authentically Christian site. We're owned and operated by real Believers. So, we know how important it is to have a safe and Christ-like environment for other Believers to mingle with our singles. You may have tried other Christian dating sites, but none was able to help you. Well, ChristianCafe.com has been online since 1999. We've had tremendous success in matching singles who are now married. Many have started families of their own. When you're looking for a life time marriage partner and you know that your faith is a priority, that means you want to be equally yoked with someone who loves Jesus as much as you do. When you're on a secular singles site, it's hard to tell who's a true Christian and who isn't. And, even though there may be Christian dater there, why spend time there, when so many of their singles don't share your faith and values. However, when you experience our singles ministry, half the battle is already won, as we're only for Christian singles. Our singles created an account with us because they know the importance of their faith and only want to meet fellow single Christians. You can easily connect with single men and single women who are serious about meeting their true love online. When work, friends, family, and even your church can't help singles connect with the right person, make sure to try Christian dating sites online. It doesn't matter if you haven't tried online dating or you're not sure which dating site to join, because we're here to tell you that you can simply create your own free trial account and then find out why our dating site is so successful. Singles know that we're really Christians matching Christians, unlike so many of our competitors who are "Christian" in name only. They are actually secular singles sites with no love for Christ and don't really care about Christianity. So, if you're searching for serious dating, for fellowship, long-term romance, true friendship, or a great relationship leading to marriage, you'll easily mingle with other singles on our dating service who feel the same way as you do. Start your amazing journey with your better half by creating your free trial profile with us. Make new connections, start dating again, and put excitement back in your dating life by making one of the best decisions in life. ChristianCafe.com has helped thousands already. You could be one of our future success stories. Join us today and start dating right now!